Moving mountains: Tad Taube, 86, is generous, strong-willed and determined to make his mark – J. For a man with an office already ringed with awards, Tad Taube insists that winning the 2017 Distinguished Humanitarian Service Award for Lifetime Achievement from Jewish Family and Children’s Services is “very meaningful” to him. But Taube’s lifetime of achieving is not over. 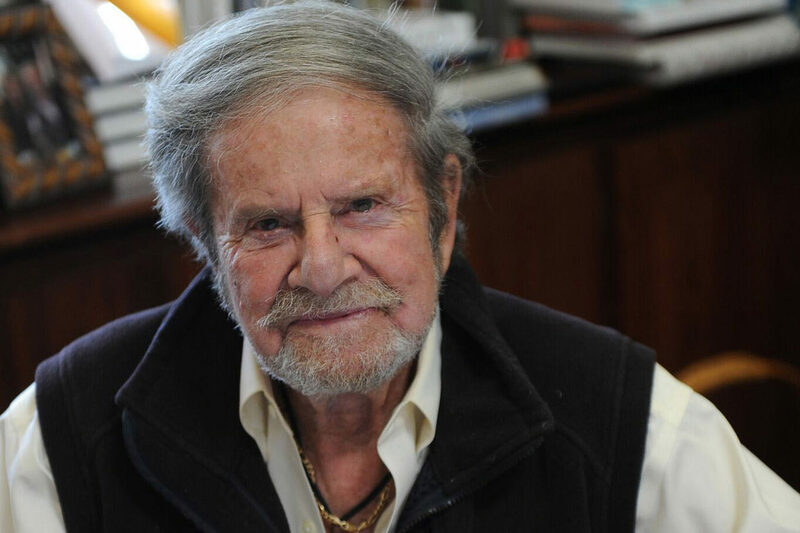 The Bay Area businessman and philanthropist will be honored at JFCS’ annual Fammy Awards gala to be held, coincidentally, on Taube’s 86th birthday, Saturday, April 1, at the Ritz-Carlton San Francisco. On the same day as the gala, Taube will step down from the board of the Koret Foundation, for which he has served as president and board member for more than 30 years, and will assume the title of president emeritus (Friedman today serves as co-president of the foundation). He will also step down from the boards of several other nonprofits. But that’s as close to retirement as he gets. Taube will continue to oversee his real estate investment business, Belmont-based Woodmont Companies, and his personal philanthropic endeavors, bundled under the umbrella Taube Philanthropies. Taube Philanthropies includes the Taube Family Foundation and the Taube Foundation for Jewish Life and Culture. Major grantees include the Taube-Koret Campus for Jewish Life in Palo Alto, the Taube Center for Jewish Studies at Stanford University, scores of Bay Area Jewish agencies and institutions and, perhaps closest to the heart of the Krakow-born Taube, the Jewish Heritage Initiative in Poland, which has helped boost the revitalization of Jewish life in a country that lost 90 percent of its Jews in the Holocaust. Taube has also given millions to such non-Jewish recipients as the United Way, the Commonwealth Club of California, Notre Dame de Namur University in Belmont, Ronald McDonald House and the San Francisco Opera. 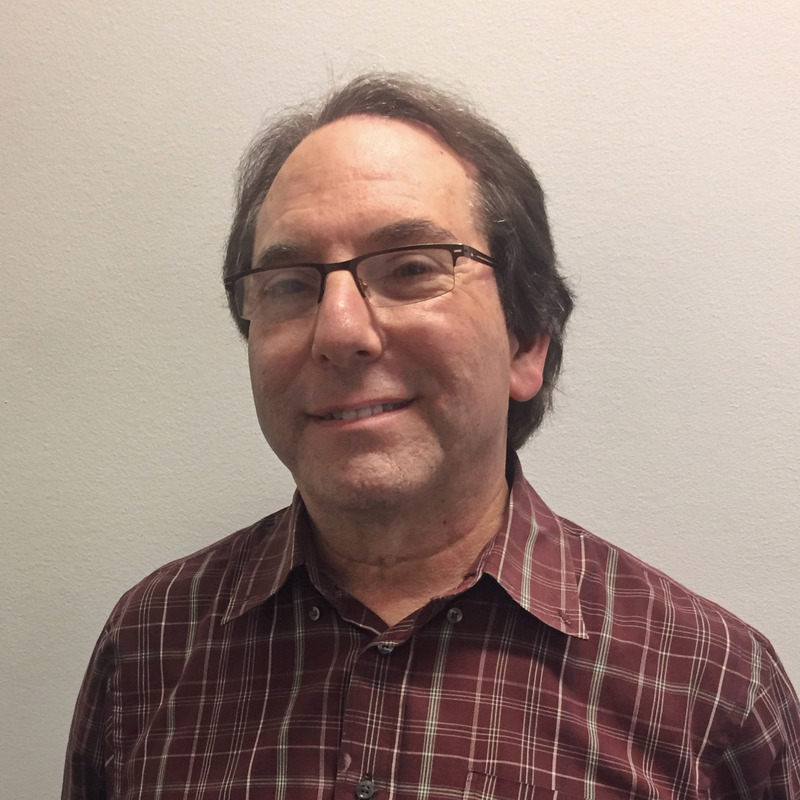 And while at Koret, he oversaw the disbursement of tens of millions of dollars to grantees in the Jewish world, arts and education and Bay Area civic life, as well as to food banks. All told, the Taube Philanthropies have granted some $200 million over the years. The strong-willed, hard-driving Taube has not been immune to criticism. He has drawn heat for, among other things, his hard-right conservative politics, particularly as they might influence funding decisions. During his tenure as president, the ostensibly non-ideological Koret Foundation gave to conservative organizations such as the Federalist Society and the Pacific Research Institute — $180,000 and $10,000, respectively, in 2015, a fraction of the nearly $30 million Koret disbursed that year. And through his Taube Family Foundation, he has given to the American Enterprise Institute and the David Horowitz Freedom Center, a pair of conservative think tanks, and the Cato Institute, a libertarian think tank. Mixing conservative politics with philanthropy was one of the objections raised in a civil case brought in San Francisco court last year, in which the Koret Foundation’s then-chair Susan Koret, widow of Joseph Koret, the foundation’s creator and a close friend of Taube’s, sued Taube and members of the Koret board for breach of contract, breach of fiduciary duty and other offenses. Taube and the board counter-sued, launching an ugly, nearly two-year legal battle that was finally settled last September. Under the terms of that settlement, both Susan Koret and Tad Taube agreed to step down from the Koret board. Having signed a confidentiality agreement, Taube will not comment on the settlement, other than to say he is glad to have the trial behind him. Even at 86, he is inclined to look to the future. Taube’s Belmont office — the same one he has had for close to 50 years — is surprisingly small. But there is a lot packed into it. The wood-paneled walls are covered with laminated civic proclamations, posters, newspaper articles and a vintage Oakland Invaders pennant (that’s the football team Taube owned in the short-lived United States Football League in the mid-1980s; another USFL team owner was Donald Trump, whom Taube supported for President). Lower down on the wall are framed photos of Taube with a wide array of political and religious leaders: former Secretaries of State Henry Kissinger and George Shultz, and GOP politicians Sarah Palin and Jeb Bush posing with Taube at black-tie functions. But it’s not just Republicans in the photos. He also posed with liberal lions such as President Jimmy Carter, Sen. Dianne Feinstein and Cecil Williams, pastor of San Francisco’s Glide Memorial Church (for which Taube has been a generous benefactor). Awards from the likes of the Anti-Defamation League, Israel Bonds and the Republic of Poland curl around the office perimeter, while a number of hard hats — reminders of his many construction projects — are lined up in a row behind the desk. They are mementos of a life of consequence. Pointing to the awards, he singles out the Scopus Award from the Hebrew University in Jerusalem. It was given to him in 1985, early in his philanthropic career, to honor his role in developing the university’s Koret School of Veterinary Medicine, the first such institution built in Israel. That project grew out of trips to Israel in the ’70s that Taube took with Joseph Koret. The partnership among Koret and his first wife, Stephanie, Taube and Hebrew University marked the start of Taube’s serious interest in philanthropy. “It was the first organization I really got involved with in terms of Jewish peoplehood,” Taube said. Taube’s connection with the Korets proved pivotal. For six years in the 1970s, Taube took the helm of Koret’s business, Koracorp, steering it back to profitability after a lean period. He also helped the Korets diversify their holdings by making real estate investments for them, and, not long after Stephanie died in 1978, he navigated the 1979 sale of Koret’s company to Levi Strauss & Co., which netted Koret millions. Meanwhile, his own real estate business thrived, with apartment buildings and properties located in the Bay Area, Texas, Arizona, Oregon and Maryland. After Joseph Koret’s death in 1982 at age 80, Taube became president of the Koret Foundation, and Koret’s widow, his second wife, Susan, became board chair. Its initial mission was to aid Jewish communities in the Bay Area and in Israel, the poor and the hungry, though over the decades its aims have expanded. Today it’s hard to walk too many steps in the Bay Area — or, for that matter, in Israel or in Poland — and not see the Koret name affixed to the wall of a local arts center, Jewish institution or civic monument. Though he didn’t land in the Bay Area until his 20s, Taube has a deep love for the region. He has given to the S.F.-based Smuin Ballet, the Stern Grove Festival Association, the UCSF Cardiology Center, SFMOMA and dozens of other local causes. His alma mater, Stanford University, also has been a major beneficiary. The university’s Taube Center for Jewish Studies is now in its fifth decade, and the Hoover Institution, a conservative-leaning public policy enterprise founded at Stanford in 1919, has also benefited from Taube’s financial largesse. On campus one can also find the Taube Tennis Center, which includes the Taube Family Tennis Stadium. Raisian cited the example of the Hoover Institution’s partnership with Taube and the Koret Foundation on a task force exploring solutions to the problems of public education. Taube partly underwrote the costs of the task force and also contributed ideas throughout its 15-year existence. Not overbearing, but Taube believes he’s gotten a lot done in business and in philanthropy because he doesn’t like waiting around for things to change. Tad Taube in a crowd of thousands at the closing night of convert of the Jewish Culture Festival in Krakow, July 2007. Taube was born in Krakow, Poland, in 1931, to a comfortably middle-class Jewish family. His parents, well aware of the looming threat from Nazi Germany, left Poland for the United States in 1939, sending for Tad soon afterwards. He still remembers his train ride across Germany, with glaring uniformed Nazi officers checking his papers. Weeks later, Hitler invaded Poland. The family settled in New York and later moved to Los Angeles, where Taube spent his teen years. He recalls the family’s cross-country journey in their 1940 Oldsmobile, during which he first saw such iconic American landmarks as Niagara Falls, Mount Rushmore and Yellowstone National Park. On that trip, he experienced his first stirrings of patriotism for his adopted homeland. Once in Los Angeles and their one-bedroom apartment, however, the Taubes fell on hard times. Nine-year old Tad came to the rescue, cast in a string of Polish-language war propaganda films in Hollywood. He earned $25 a day. In time, the family got on its feet. Taube’s father, Zyg, started two companies: one that made coats from imported Russian furs and a pen company that was bought by Eversharp. Eventually he became CEO of Eversharp, the pen and razor company. Tad went to Stanford, served in the Air Force and returned to Stanford for graduate studies in industrial engineering. He worked in the South Bay’s fledgling high-tech sector, and later transitioned to real estate, launching what is today known as Woodmont Companies, a property management enterprise, in the late 1960s and, later, Taube Investments, which today manages the family assets. He did very well financially, and after befriending Joseph Koret, he did even better. In 2003, Taube recruited Shana Penn, a visiting scholar at Mills College from the United States Holocaust Memorial Museum in Washington, D.C., and an expert on Polish Jewish history. 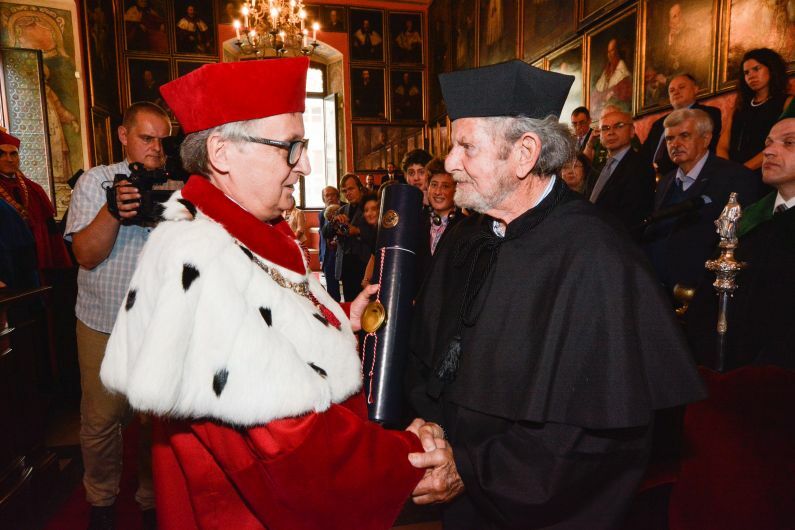 One of those leaders was American-born Rabbi Michael Schudrich, who moved from Manhattan to Poland in the early 1990s — shortly after the fall of the Iron Curtain — to become the country’s chief rabbi, based in Warsaw’s historic Nozyk Synagogue. In addition to helping restore the synagogue’s physical glory, Taube worked with the rabbi and partners such as the Ronald Lauder Foundation, the Joint Distribution Committee, the Polish government and other donors to build institutions: at first the Jewish Historical Institute in Warsaw, Jewish day schools and synagogues, the Jewish Culture Festival in Krakow, and later Jewish community centers in Warsaw and Krakow. Growing a Jewish renaissance in Poland might have seemed unrealistic to some, but not to Taube or Schudrich. Taube invested in many Polish Jewish institutions, but the jewel in the crown is the Museum of the History of Polish Jews. 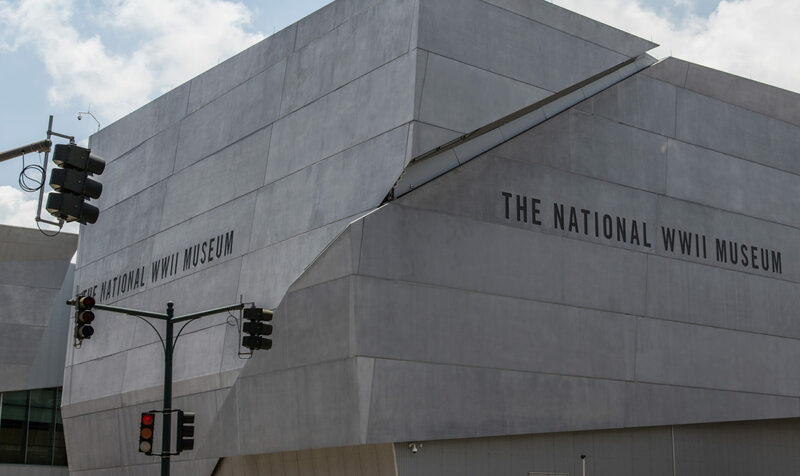 Built upon the rubble of the Warsaw Ghetto, the museum, which had its grand opening in 2014, explores the 1,000-year history of Polish Jewry. It has since been a major draw for visitors, with an extensive education program on Jewish history offered in schools throughout Poland. The Koret and Taube philanthropies gave more than $16 million toward its construction, and spearheaded the private donor campaign to raise $50 million for the core exhibition (the Polish government contributed $100 million towards the $150 million construction costs). At 86, Taube is keeping at least one eye on his legacy. To prepare for the future, he has expanded the board of Taube Philanthropies from three people to eight, including two of his grown sons, Sean and Judd, as well as his wife, Dianne. He has arranged for significant endowments to continue funding his foundations far into the future, and in 2013 he signed the Giving Pledge, the effort started in 2010 by Bill Gates and Warren Buffet to encourage high net-worth individuals to donate at least half of their money to charity. More than that visible philanthropy, Taube is also doing a lot behind the scenes, and out of his own pocket, according to Anita Friedman. This matters, because in a 2011 interview with the San Francisco Chronicle, Taube was quoted as saying he does not give to causes that are “bottomless pits.” The writer of that story took that to mean Taube didn’t want to support the poor and hungry, something Taube refutes. He explains, however, that he does not like to give to projects that show little hope of long-term success. He points to the many gifts from Koret and his own foundations to food banks, holiday food programs and myriad social service agencies as proof that he does care about poverty and hunger as much as he does beautifying San Francisco or ensuring a strong Jewish future.